It is best to call and discuss your options with this item. 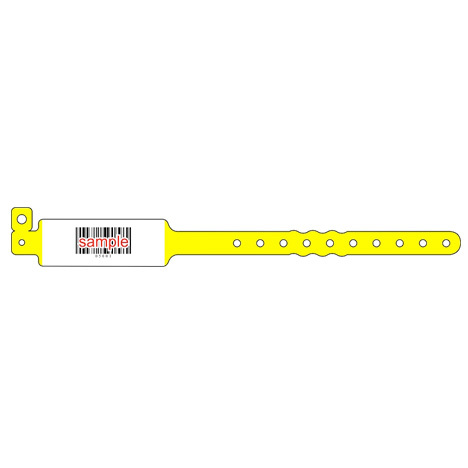 There are several options to consider for the barcode wristbands. 253 841 4057 Barcode setup = $175.00 + wristbands and shipping. Discounts are offered for larger quantity orders. 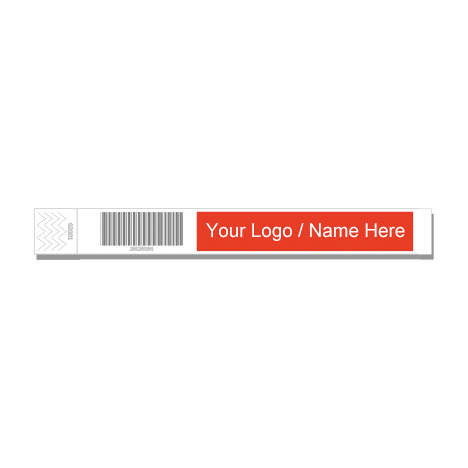 A bar code on a wrist band is a secure way to manage attendance at your event or performance. These wristbands provide an extra layer of protection that help you prevent guests who have not paid admission, access to your event. If you want additional text or colors, additional fees apply. If you add custom printing in addition to your bar codes, formats are limited to no more than five digits to ensure that they are readable on the small space. A bar code only wristband can be printed larger in the space to allow more digits. A white block is printed on the bands to ensure the barcodes read correctly. We will be adding additional wristband colors soon. The wrist bands are sold by the box of 500.